I went to Cardiff a few years ago for a meeting. I got chatting to the receptionist about the FA Cup, which was being played the following day at the Millenium Stadium, as Wembley was being rebuilt. I apologised, saying that it must be a total hassle for the people of Cardiff, as the stadium is right in the city centre. "OH NO!" she said (you need to adopt a Welsh accent to get the full effect of this story) "We don't mind at all. We love it. Everyone should come and have a good time." And that sums up the Welsh for me. 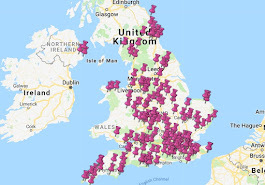 If things had been reversed and Twickenham was hosting an Eistedfodd, we'd all be moaning about it for weeks: "The A316 is going to be a total NIGHTMARE! And it'll be IMPOSSIBLE to get on or off a train at Richmond station that day! Luckily I don't live anywhere near Richmond or require any train services. Why can't they just hold it in Newport?" 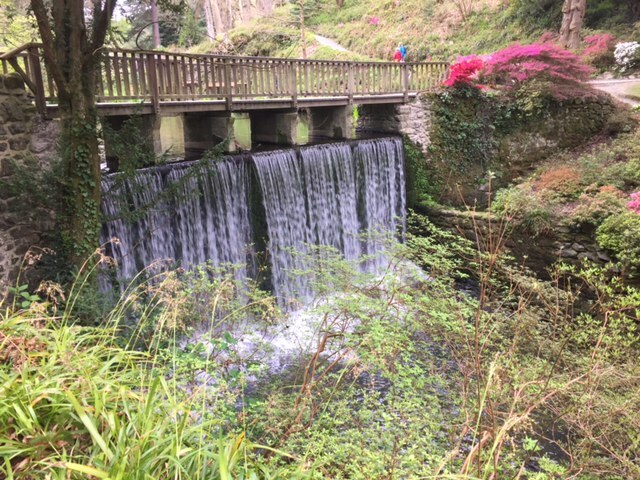 What has this got to do with Bodnant Garden near Llandudno, I hear you ask? The answer is that they have a huge laburnum arch that bursts into beautiful bloom every year. 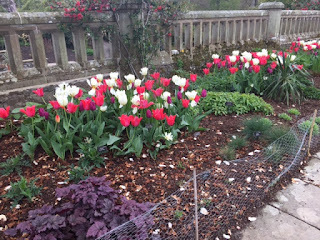 And the Bodnant team go ALL OUT to encourage people to come and see it. They have 'Laburnum Archers' guiding visitors around, they stay open until 8pm - they even have Wag Wednesdays so dogs don't miss out. 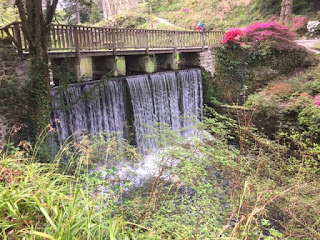 Apparently 50,000 people visit Bodnant in 3 short laburnumy weeks to see it. 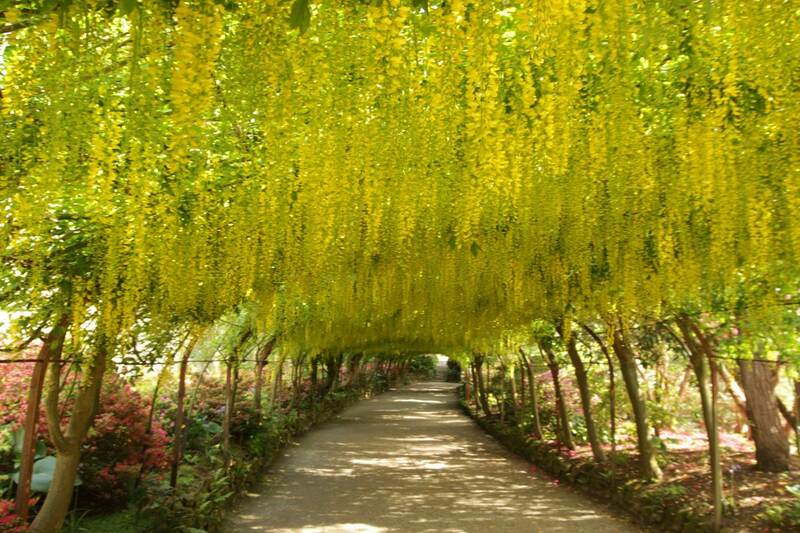 The staff don't get worked up that so many visitors might traumatise the laburnum, they don't worry that articles will appear in the Daily Mail screaming 'HAS THE NATIONAL TRUST LOST THE PLOT?' They just say 'it's marvellous - everyone should come and enjoy it'. I love them for it. To paraphrase Sir Alex Ferguson: Mother Nature. Bloody hell. ANYWAY. 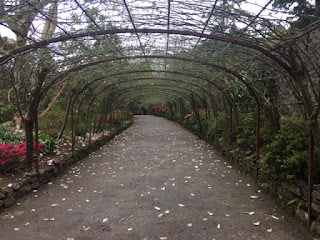 The good news for me is that the laburnum arch is just one of many highlights of Bodnant. 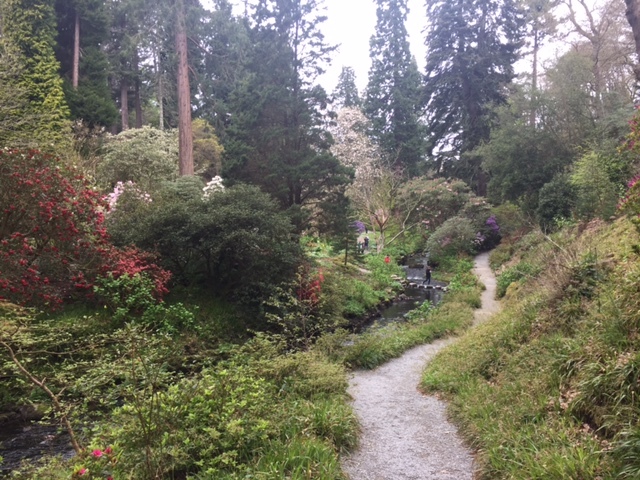 In fact, Bodnant Garden was not what I was expecting at all. 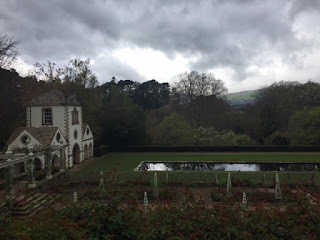 My route began as I expected, with prettily ordered flower beds and a house you're not allowed into (it still belongs to the McLaren family, the gardening-mad descendants of Henry Pochin, the industrialist that bought Bodnant in 1874). Then you come to the five terraces, which continue the orderly theme, albeit with the backdrop of wild Snowdonia. 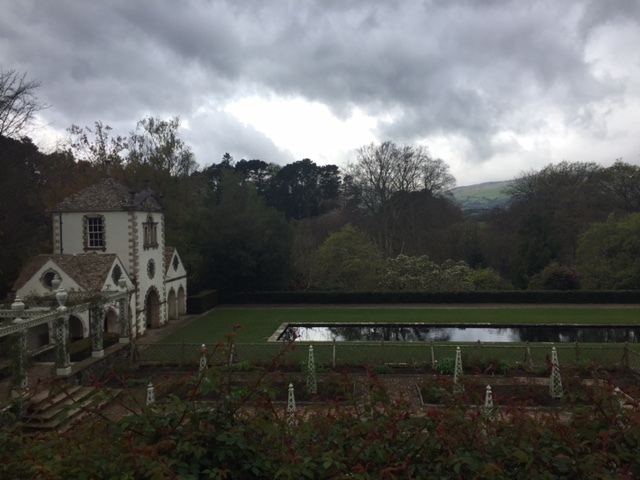 This is the Canal Terrace, with its long pond. The building on the left is the Pin Mill. 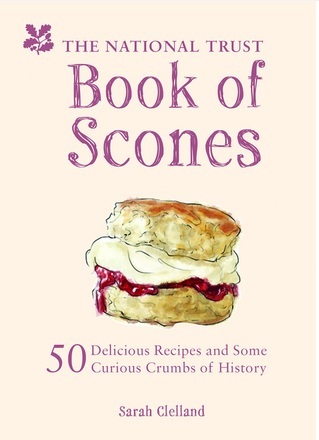 It originated in Gloucestershire, where it was used as a pin mill and a tannery before it fell into disrepair. 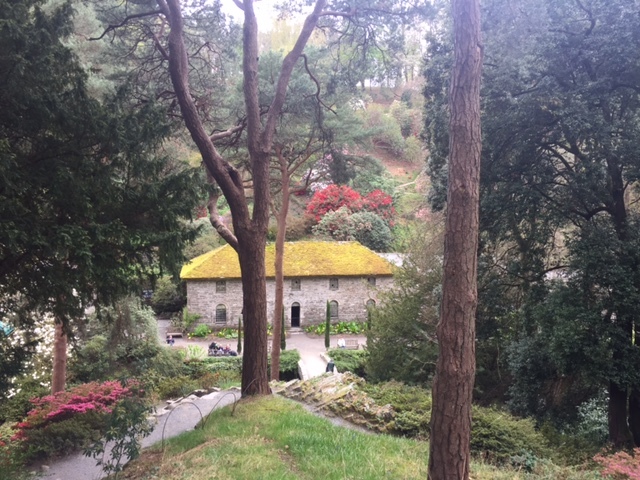 Henry McLaren bought it and had it moved brick-by-brick to Bodnant. ...as well as a boathouse and and a little church-like building called The Poem, where Henry Pochin and his wife Agnes are buried along with their children, including the four that died in infancy. I also learned about champion trees today. 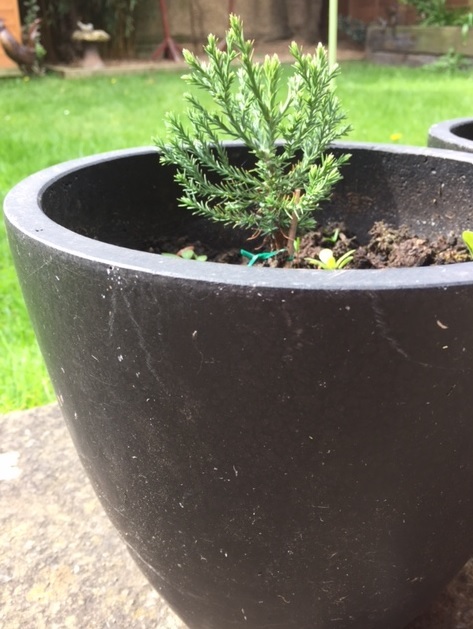 I had absolutely no idea that the concept of champion trees even existed, or that there that is a database of champion trees. A champion tree is basically the tallest or widest of its kind in the British Isles, and Bodnant has several champions. 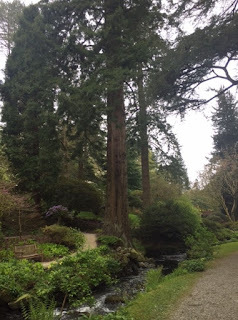 I know nothing about trees but I do love to bump into a sequoia, or Californian Redwood, on my scone travels - I explain why I love them in my post about Sunnycroft. Anyway. 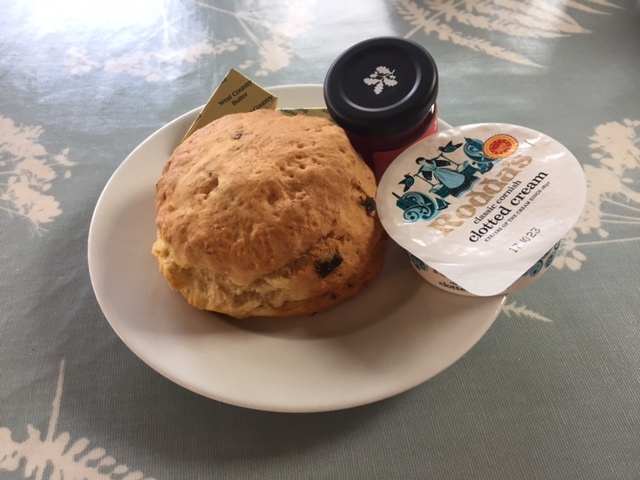 Let's move on to the all-important scone. The scone at Bodnant was very good - it was a little bit soft for my liking, but it was tasty and I ate every crumb. The one good thing about me missing the laburnum's big moment is that I'm giving you a few weeks' notice to go and see it for yourselves. If you can get there in May, I highly recommend it - Bodnant Garden is lovely anyway but with the laburnum as well, it's a fantastic place. Sidekick's dreams of one day seeing his sequoia towering above him: squashed to 0 out of 5.